Setup Facebook Page Permissions for your team. 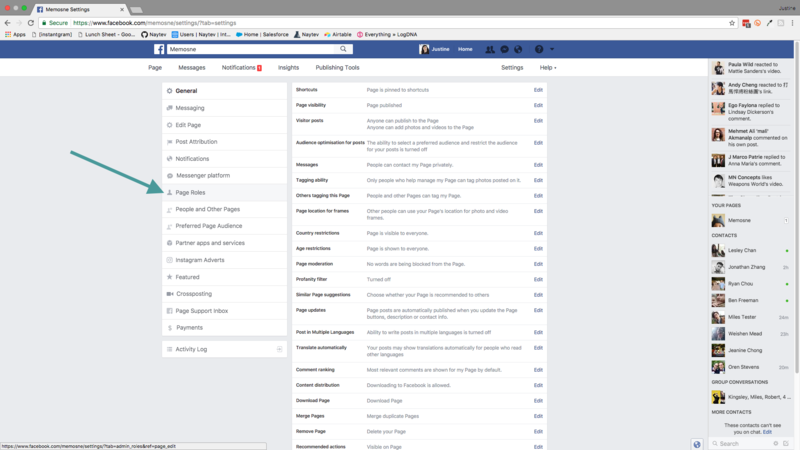 Visit your Facebook page within Facebook's dashboard and click on "Settings." From the "Settings" Page, choose the category Page Roles in the left hand column. 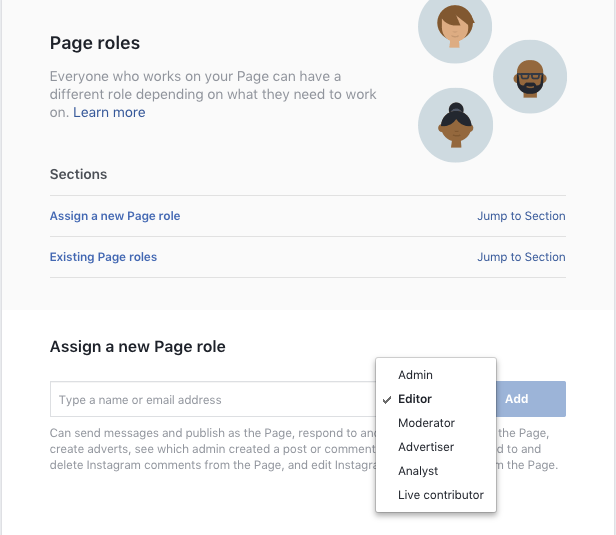 Underneath "Assign New Page Role", add the person you'd like to add to the account and select the appropriate level of permissions. Add the individual with the appropriate permissions and remember to save your changes.